One of the most satisfying moments for a wedding photographer is capturing those fleeting moments that, gone in a flash, reveal something of the people, the event, or the times. The wedding of Scott and Lisa occurred at the bandstand at Bethany Beach, was officiated by Jackie Smith Roderick, one of Lisa’s high school friends who is now a Lutheran pastor. One of the things that marked this ceremony and the reception that followed was the great sense of humor displayed by all the participants. 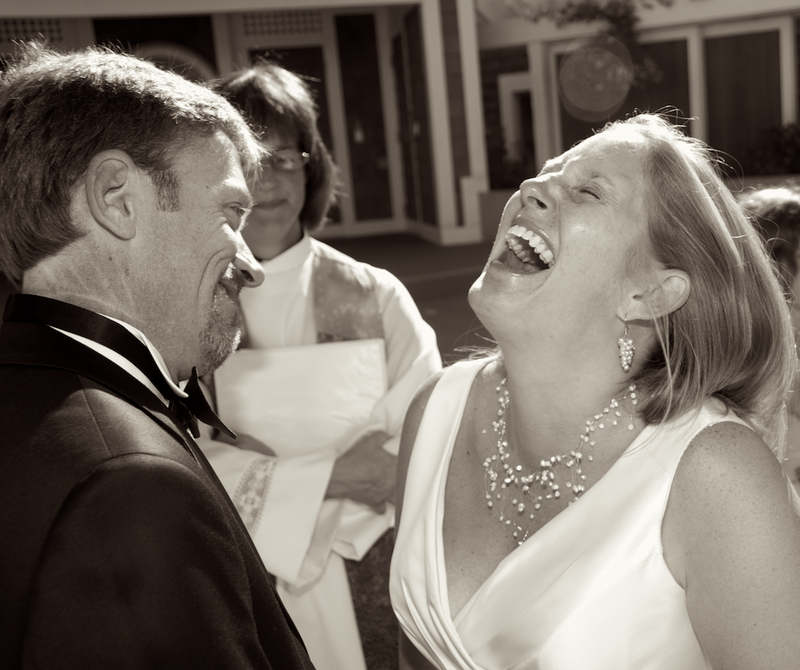 This was a group who knew how to have fun– even during the exchange of vows.